The moon will glide into Earth’s shadow Friday in what will be the longest lunar eclipse of the century. 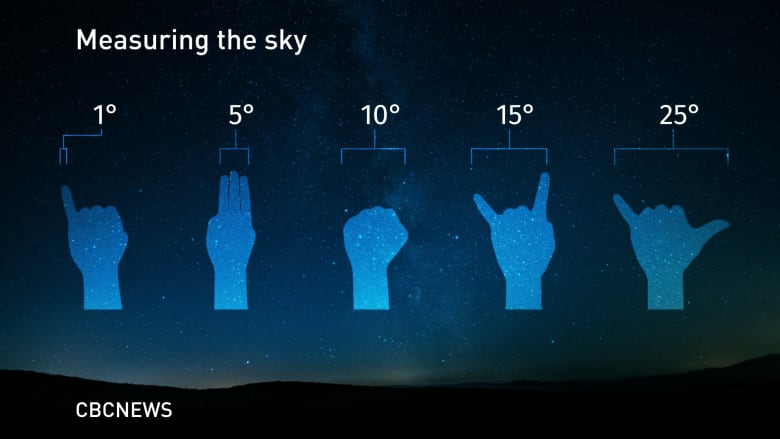 While it won’t be visible in Canadian skies, there are ways you can see the spectacle for yourself. Lunar eclipses occur from two to four times a year, but not all of them are visible. Sometimes they are penumbral eclipses, where the moon passes through Earth’s fainter outer shadow, which isn’t quite visible to the human eye. Then there are partial eclipses, where just part of the moon passes through the dark umbra, or shadow. 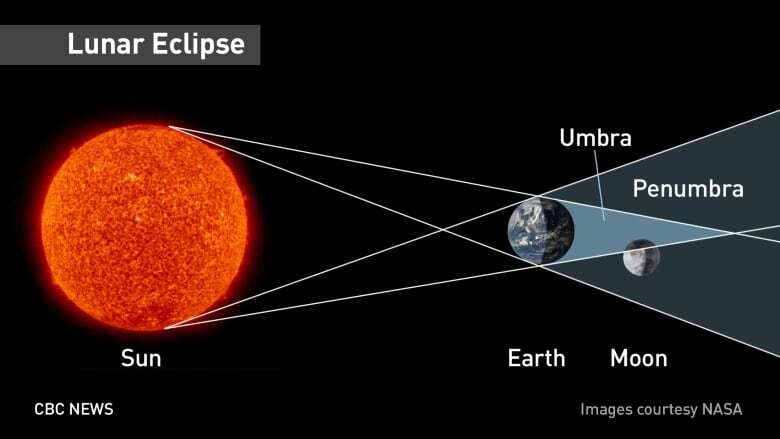 And finally, there are total lunar eclipses, where the entire moon passes through the umbra. The reason we don’t get eclipses every month is because the moon orbits Earth on a slightly inclined plane of five degrees. Unlike solar eclipses, which last a few minutes, lunar eclipses last three hours or longer. But the eclipse that will stretch from South America to New Zealand on Friday will last almost four hours, coming in at three hours and 55 minutes. And totality, which will occur over Africa, the Middle East and part of Asia, will last an hour and 43 minutes, making it the longest one in 100 years. And yes, you’ll likely hear this eclipse being referred to as the “blood moon.” But there’s nothing scary about it. During a lunar eclipse, the sun lies directly behind Earth, refracting — or bending — light. Blue light is scattered, leaving only red. The light of all the sunsets and sunrises occurring simultaneously is reflected off the moon, making it seem red. The deepness of the red depends on the particles in the air. So it’s anyone’s guess just how red this eclipse will be. While Canadians won’t be able to witness the event first-hand, there are ways to capture it from the comforts of home. You can watch it online with The Virtual Telescope Project or Slooh. Both are resources that provide live-streaming of astronomical events. While they will show the entire eclipse, if you’re looking for totality, it occurs from 3:30 p.m. ET to 5:13 p.m. ET. But there are a couple of extra-special happenings that night. For one, Mars will be at opposition, when Earth lies directly between it and the sun (four days later, Mars will be the closest to Earth since 2003). And finally, there will be a conjunction between Mars and the moon. Astronomers often talk about these events, characterized by two celestial bodies appearing very close together in the sky. There isn’t anything particularly scientific about it, but it makes for wonderful viewing and photographs. On the night of the total lunar eclipse, Mars and the moon will be roughly six degrees apart in the night sky. And you can enjoy the pairing here in our night sky. You can find the local time of moonrise by visiting the site Time and Date. So, while the total lunar eclipse won’t be gracing Canadian skies, you can still go out and enjoy Mars and the moon as they stand closely together in the night sky. And don’t forget Saturn and Jupiter, too, which will also be up for most of the night. The next total lunar eclipse visible from Canada will be on Jan. 21, 2019, and will last three hours and 17 minutes, with totality lasting an hour and two minutes.